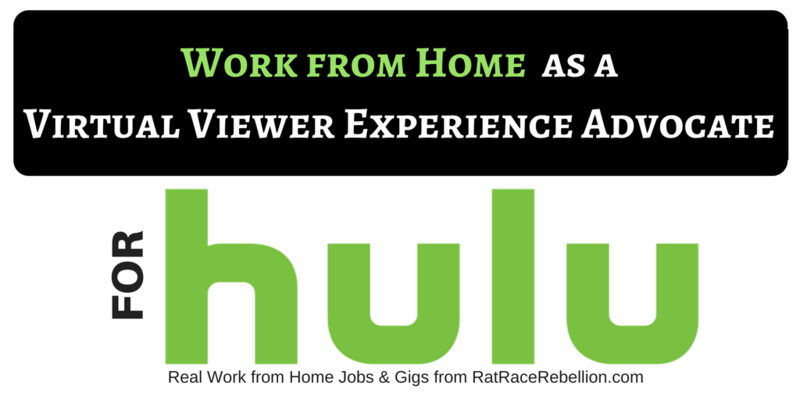 Hulu, the popular streaming TV company, is seeking a Virtual Viewer Experience Advocate. Must have a virtual workspace (home or otherwise) within 75 miles of the Santa Monica, CA office. Hulu’s Customer Support team is seeking a Virtual Viewer Experience Advocate who will be an exceptional addition to our Customer Support team. As a Virtual Viewer Experience Advocate at Hulu, you will be the first point of contact for viewers and a critical brand ambassador. The right person for this role is enthusiastic at addressing our customers’ needs and ready to take on new challenges. If you are someone who enjoys delivering world class customer service, then this is a great role for you. This entry was posted in Hiring Companies, Work at Home Jobs and tagged Hulu. Bookmark the permalink. ← $15/Hr Working from Home Transcription – Beginners Welcome!